An 1997 Paint mare with World Champion breeding, Sugar is a wonderful example of what can be accomplished with a horse who has been recovered from potentially life threatening horrific injury. Sugar was born to Arlee and Roger Benegar and is owned by Jenny and Craig Benson. 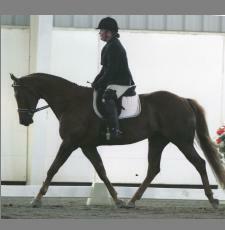 As a foal she was diagnosed with contracted tendons. She underwent surgical procedures that severed the deep flexor tendon and released the leg in such a way as to let it down into a normal position. During her recovery from surgery, Sugar fractured her pelvis. Most horses would have been put down but Arlee and Roger confined Sugar to her stall and cared for her for 6 months. As a result of her injuries, Sugar has extensive scarring in her right front leg as well as a severe club foot. The pelvic fracture healed, but Sugar reached adulthood with noticeable difference in the height of her hips. In addition, when she was finally turned out, this yearling filly somehow managed to deglove her left foot, and once again required surgical intervention to repair the shin covering all the way down the left cannon. 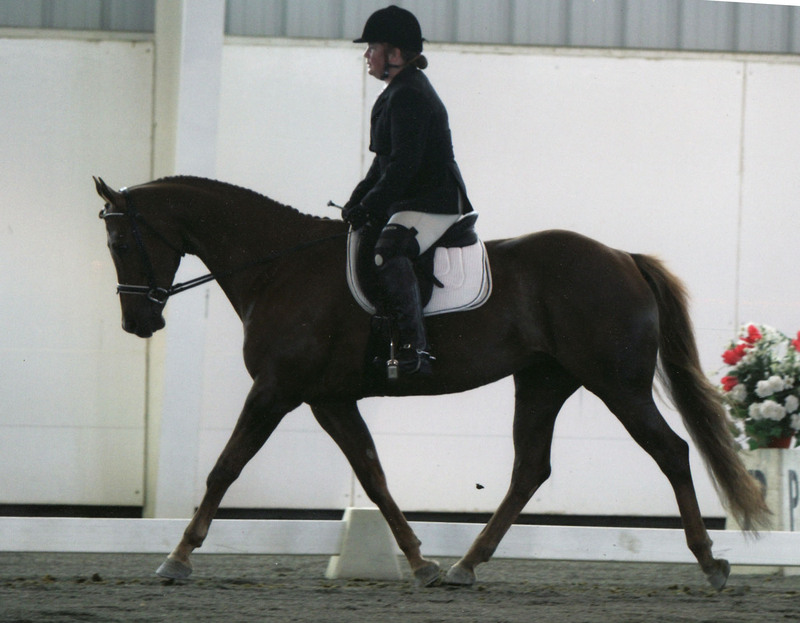 Through careful training, Sugar has developed a very beautiful way of going and was used during the filming of "Any Horse, Any Rider" to show how the rein aids increase ridability and impulsion in the recreational riding horse.